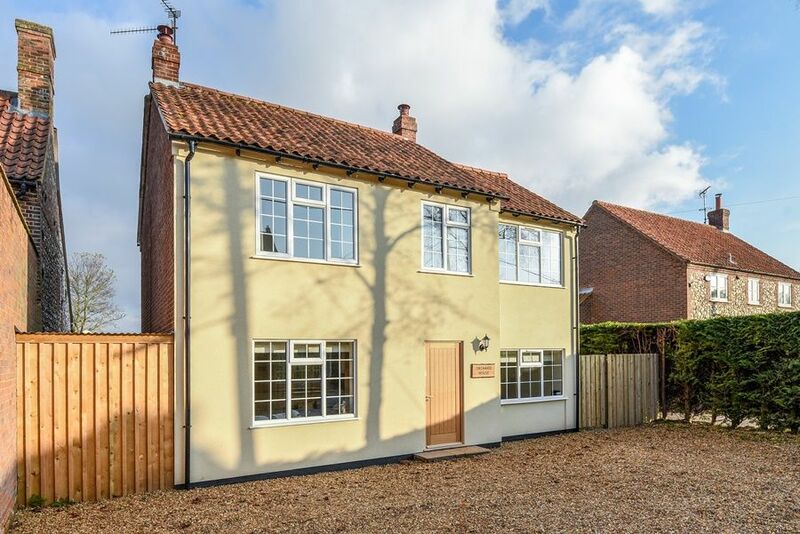 Orchard House is a superb newly renovated detached Norfolk house situated in the heart of the thriving village of Docking. 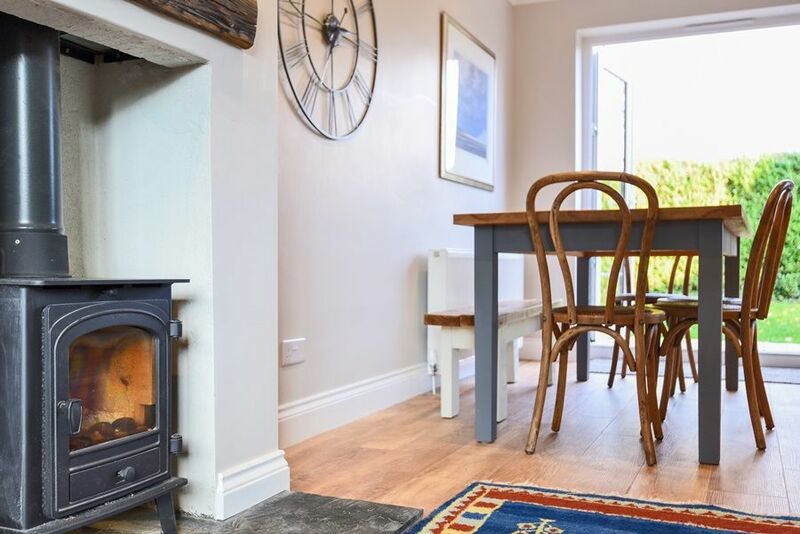 During 2018 this house has been extensively refurbished, tastefully furnished and decorated in a contemporary coastal style by its professional interior designer new owner, resulting in a gorgeous holiday home which feels like a new house. 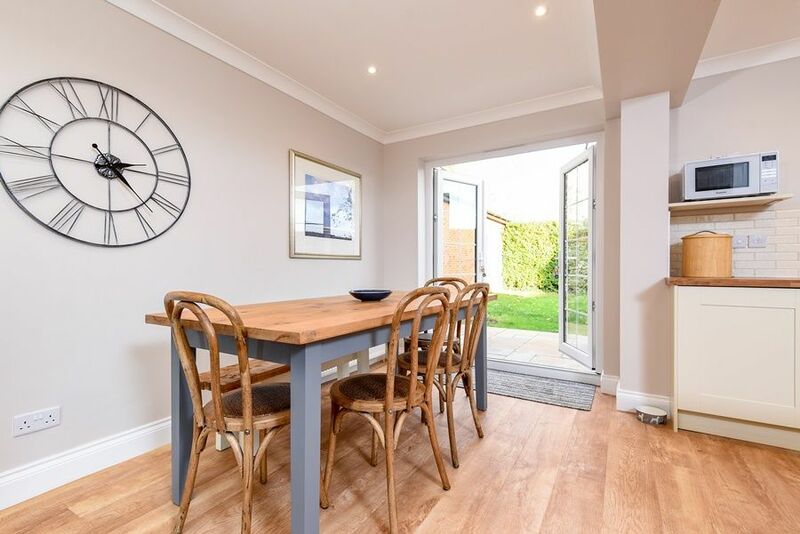 A fabulous light and airy open plan living space has been created with a contemporary kitchen, comfortable sitting area with a new wood burner and spacious dining area overlooking the back garden. 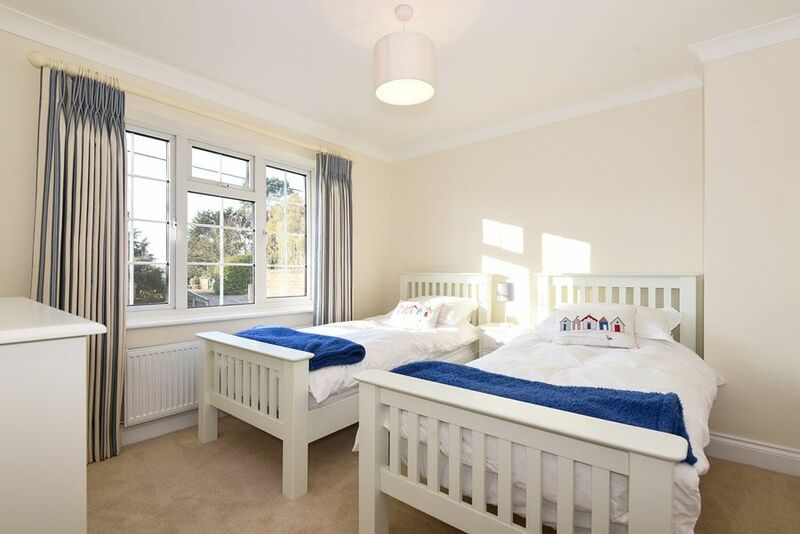 Also downstairs is a separate snug/playroom ideal for the young to escape to! 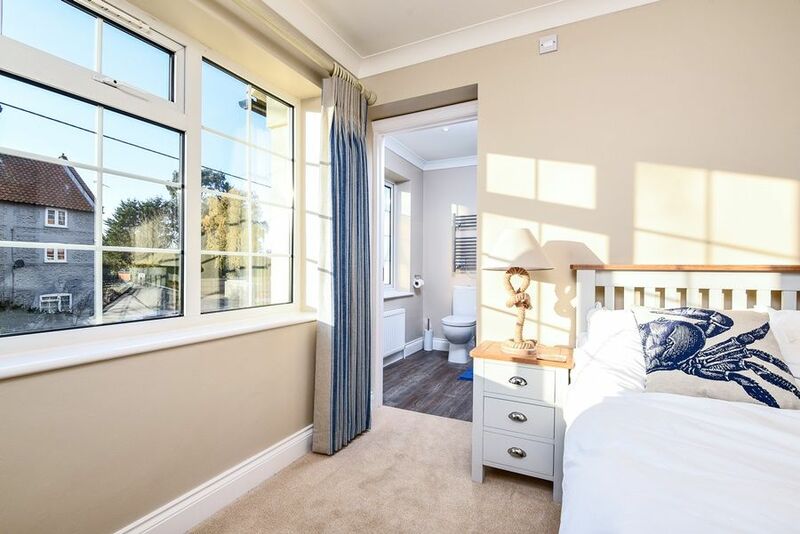 Upstairs there are three beautifully presented bedrooms, one with a newly created en-suite shower room and a modern family bathroom. 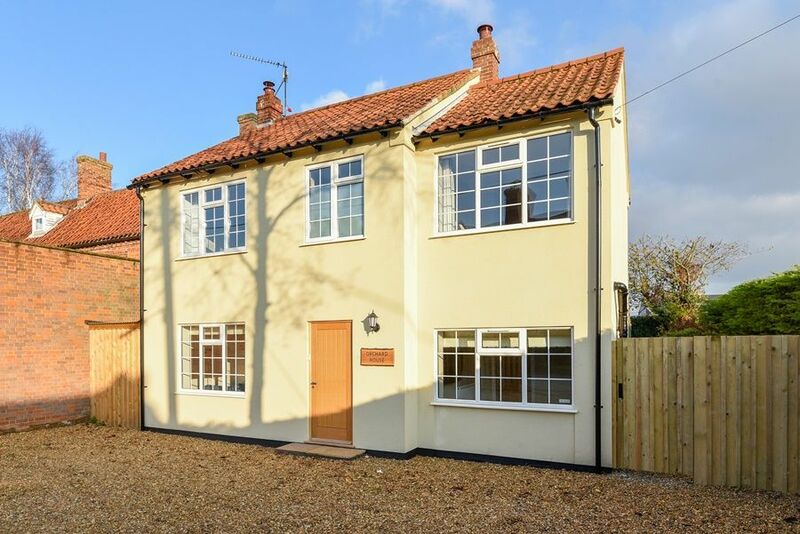 There's ample off-street parking in the large driveway at the front of the house and a safe enclosed lawned garden at the back. 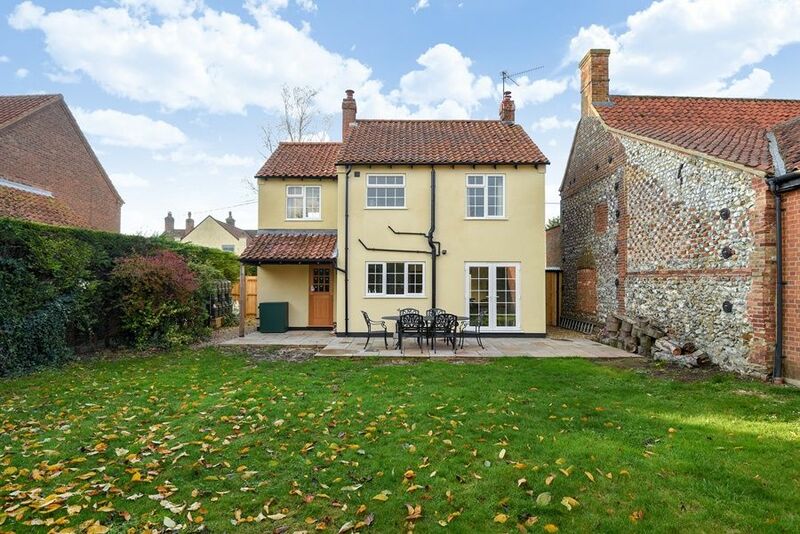 Within walking distance is a good local pub and small supermarket, with the stunning North Norfolk coast and charming village of Burnham Market easily reached within a 10 minute drive. 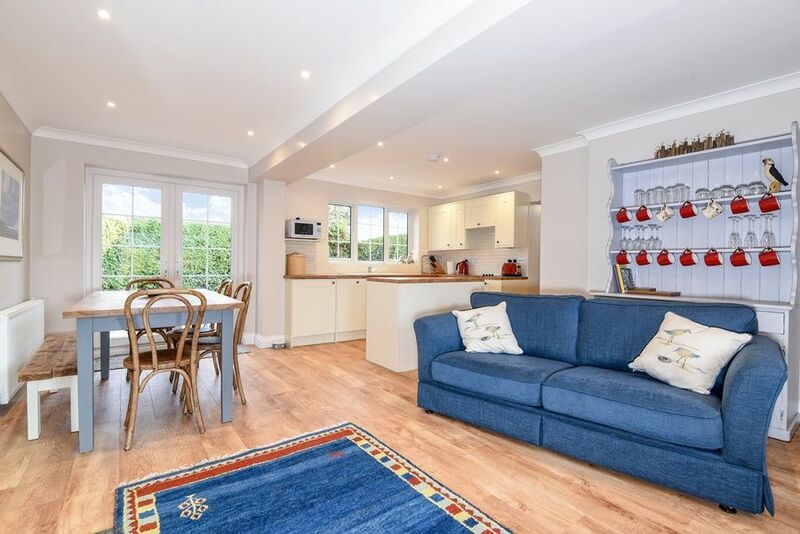 Light and airy open plan living area with oak flooring throughout. 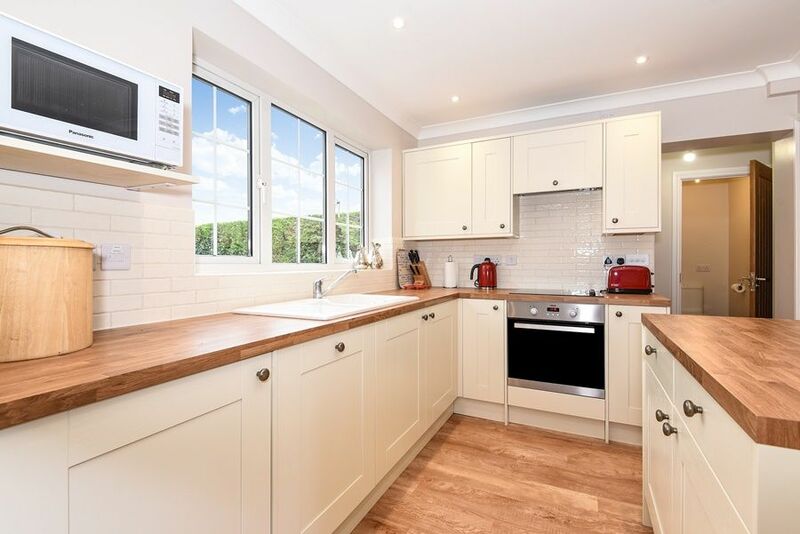 Kitchen: a superb contemporary kitchen with integral appliances including: electric oven, ceramic hob, microwave, dishwasher, fridge with an ice-box, washer/dryer. 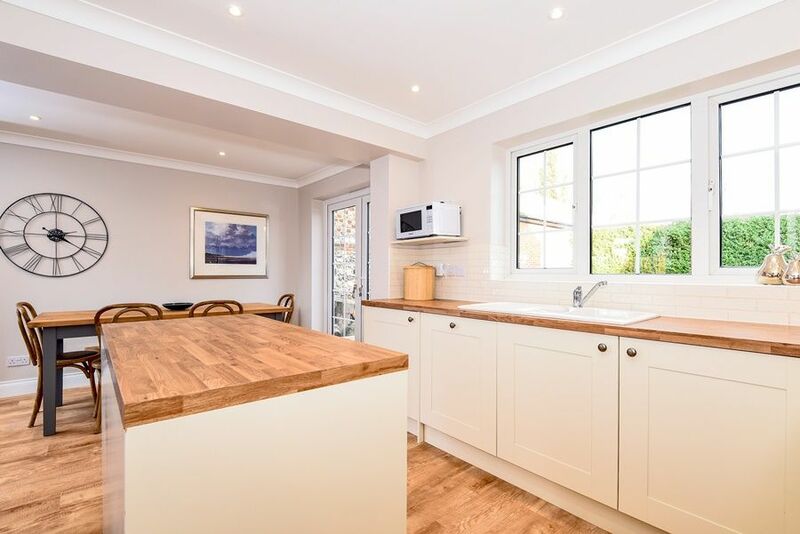 It is well-equipped with crockery and cookware. 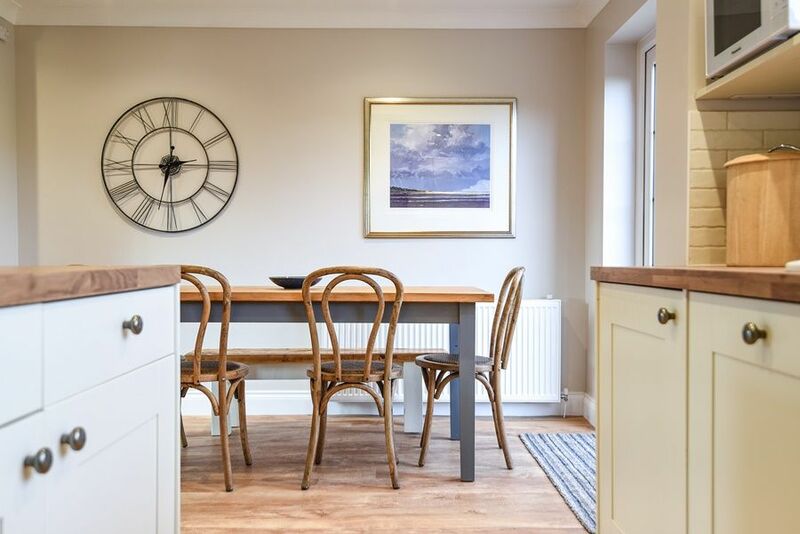 For dining, there's a new wooden dining table comfortably seating six, with a bench seat and four chairs. 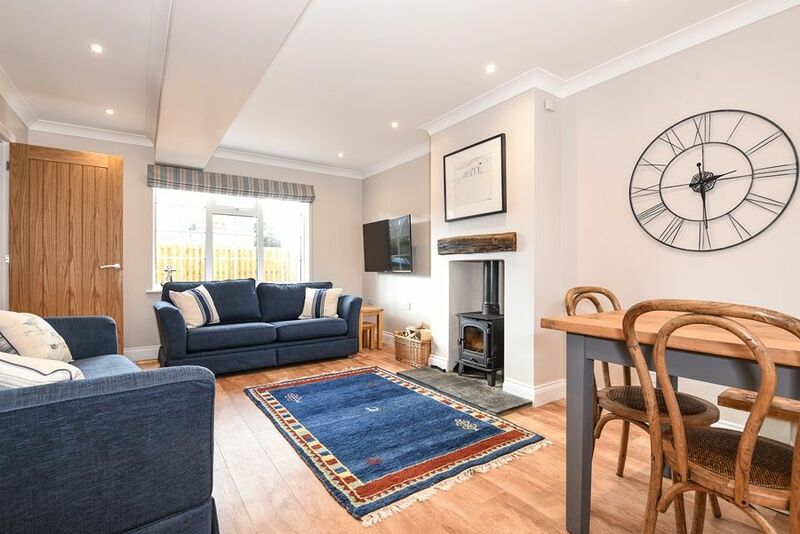 Sitting area: has a newly installed wood burner, two comfortable blue sofas, wall-mounted Smart TV and a large dresser. 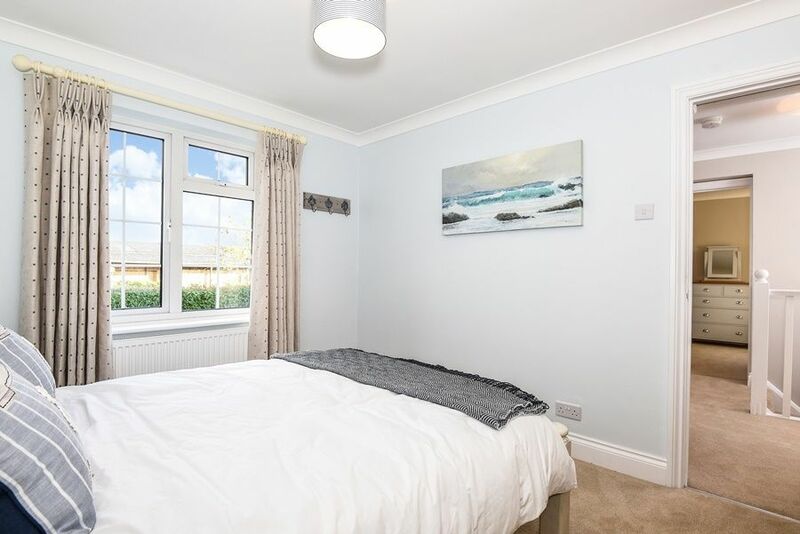 Snug/playroom: has a Smart TV and selection of beanbags. There's the advantage of free Wifi. The staircase is straight and not steep. 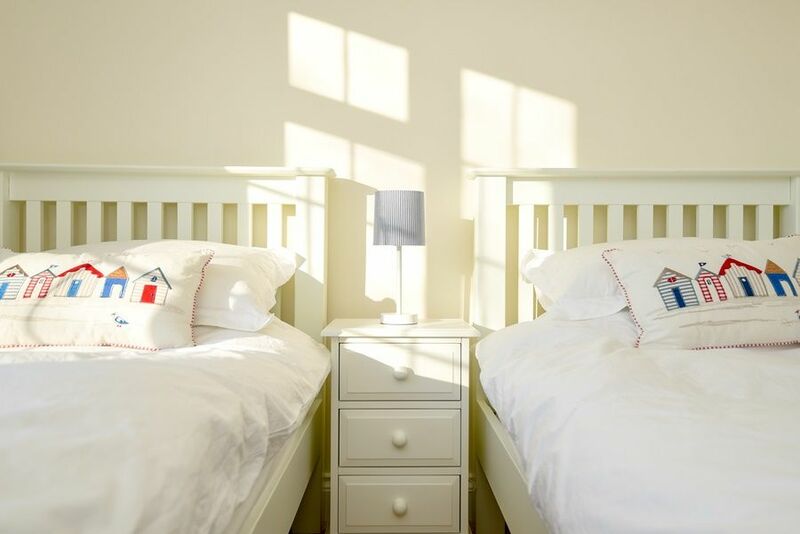 All the bedrooms are beautifully presented with high quality bedding and lovely fabrics with a contemporary coastal theme. Hairdryers are provided. 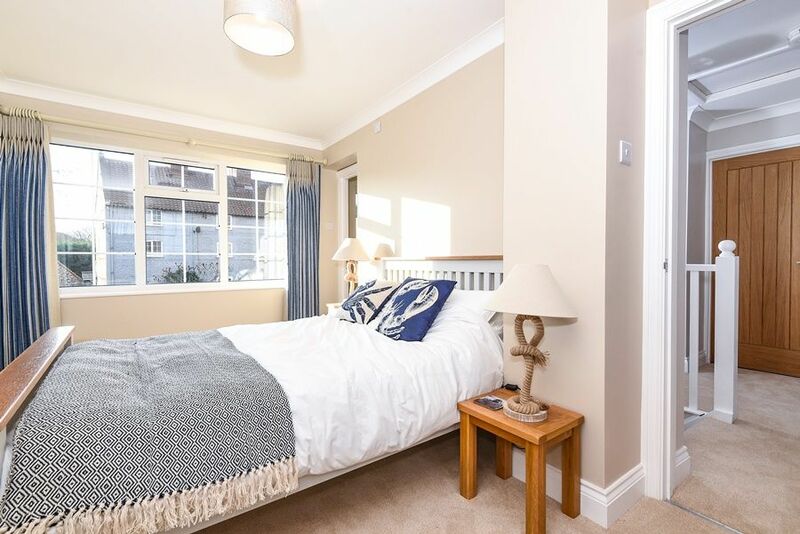 Bedroom 1: with a double bed, bedside tables and rope lamps, chest of drawers and clothes hooks. 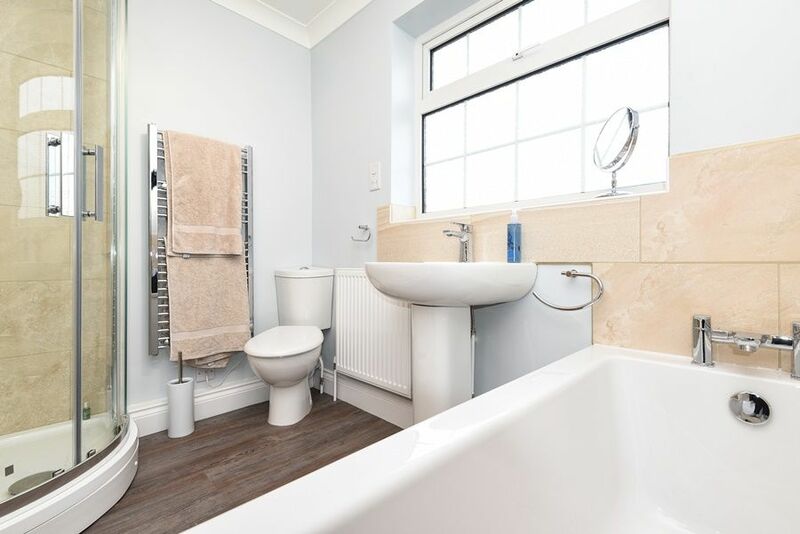 There is a newly created en-suite shower room: walk-in shower, hand basin, heated towel rail and WC. 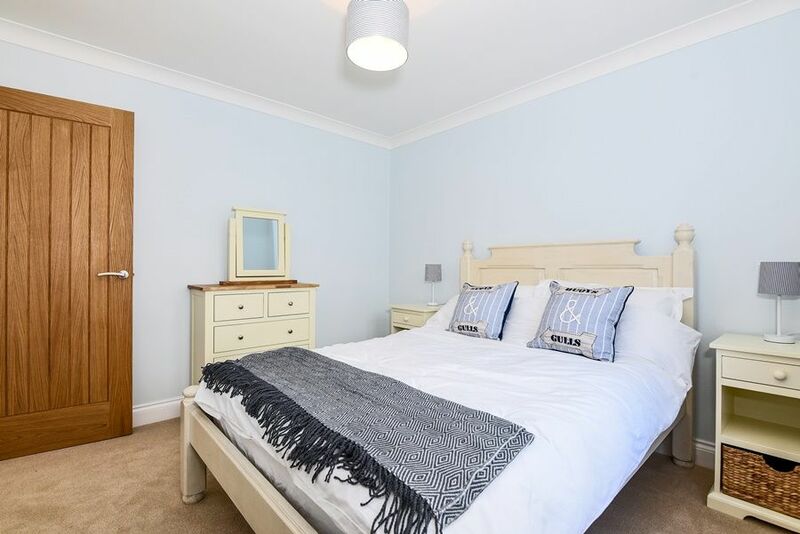 Bedroom 2: with a double bed, bedside tables and lamps, chest of drawers and clothes hooks. 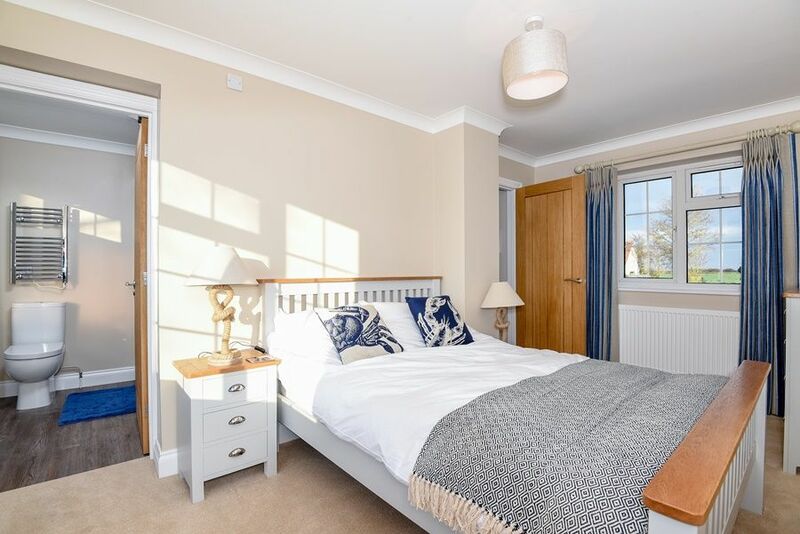 Bedroom 3: with full-size twin beds, bedside tables and lamps, chest of drawers and clothes hooks. 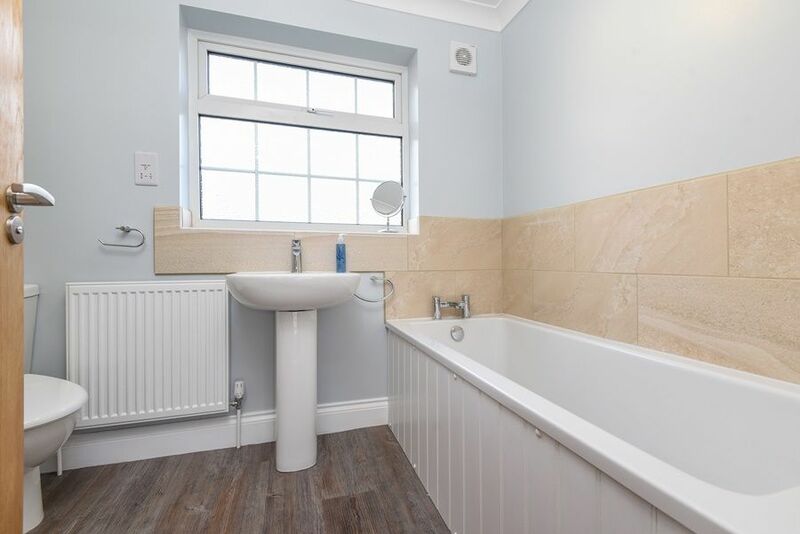 Family bathroom: newly fitted with a bath, separate shower cubicle, hand basin, heated towel rail and WC. 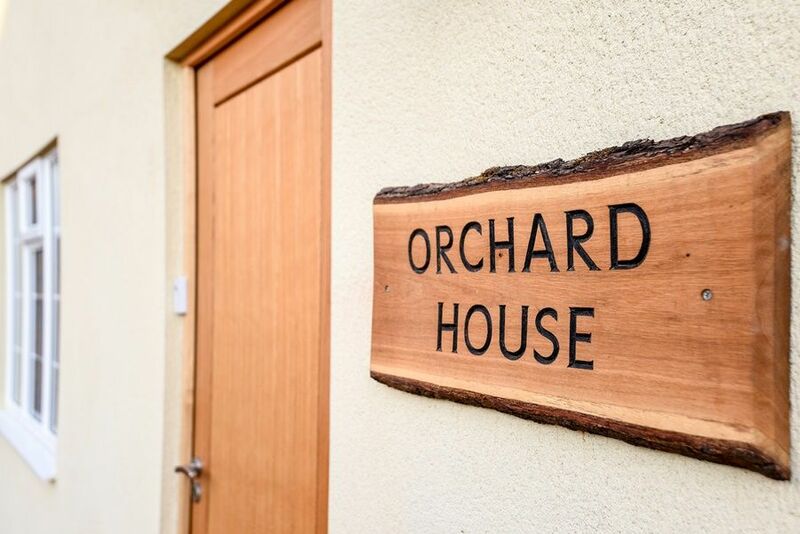 Orchard House is conveniently situated in the heart of Docking, set back from the road, next to the excellent village shop. There is off-street parking in the front drive for up to three cars. 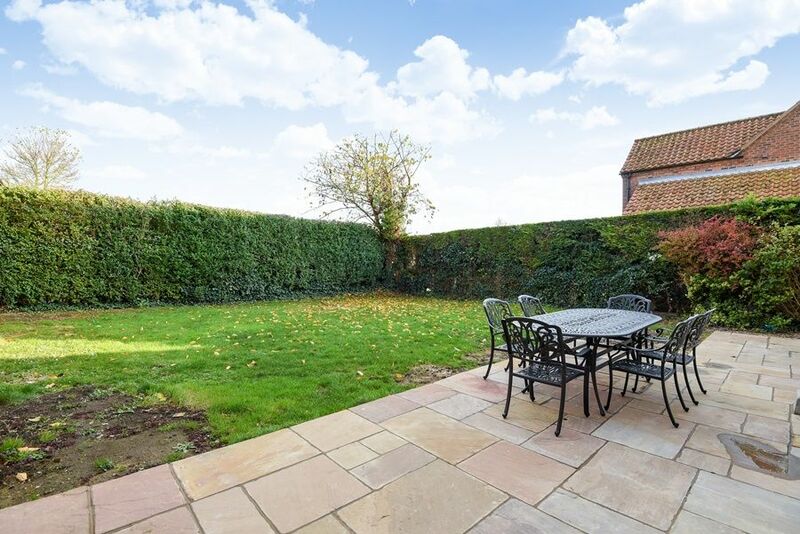 There is a fully enclosed private rear garden which is mainly laid to lawn, with patio area and garden furniture. 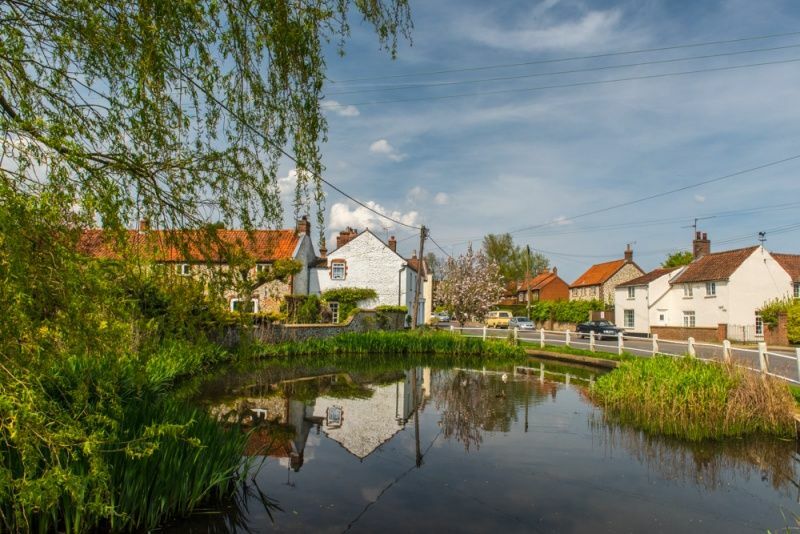 There is a good fish & chip shop, local pub, children's playground and village shop all within walking distance, whilst the beautiful coast is only 10 minutes drive away. 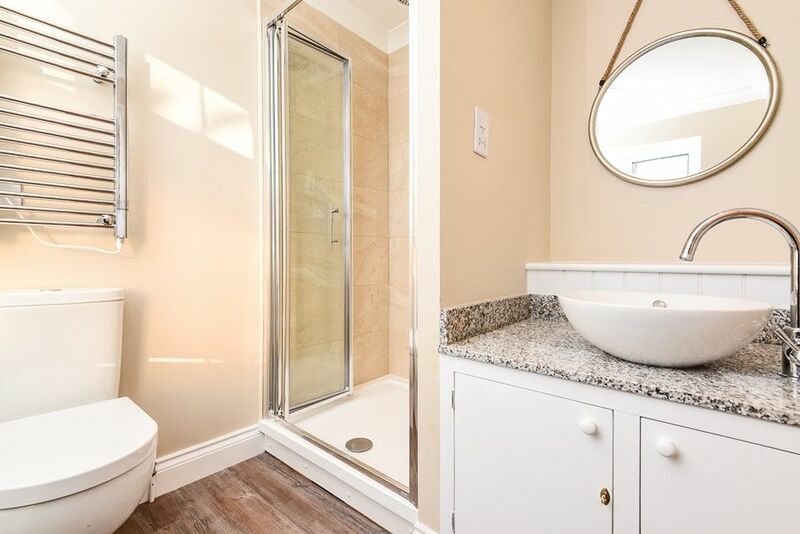 Convenient location for the coast. 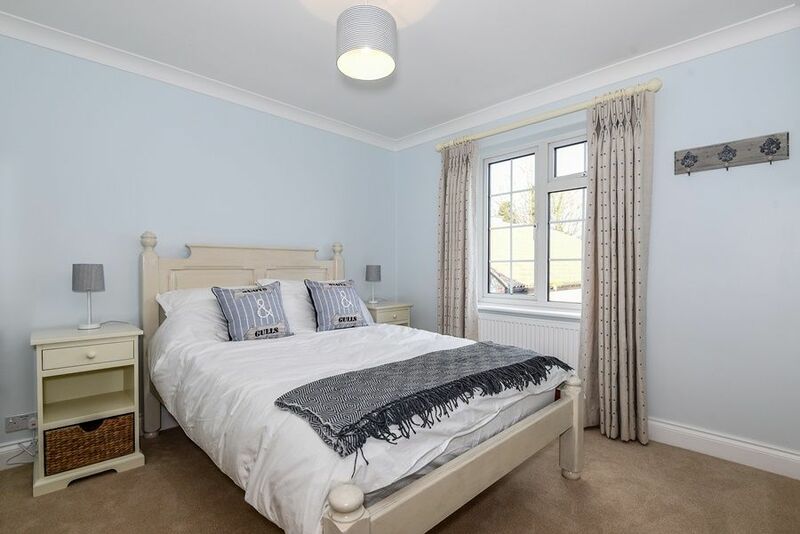 Nicely decorated and quality bedding.